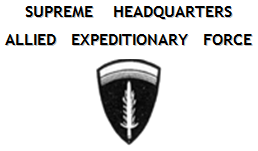 We are a non-profit WW2 re-enactor group that portrays the 2/Bn HQ Co., 506th PIR, 101st Airborne. See what we have going on. Welcome to the 506th Reenactors Inc. website. We represent the 2nd Battalion – Headquarters Company, 506th Parachute Infantry Regiment (PIR). Our goal is to accurately portray a parachute regimental headquarters Company in World War II. To do this, we have relied on the personal statements of veterans of the 101st Airborne as well as veterans from other divisions. We have also spent a great amount of time researching historical documents and unit stories to expand our knowledge. We are a non-profit group who will gladly speak at schools, history clubs and civic groups to keep the memory of these great men and their sacrifice alive, as they rapidly depart our presence. As schools continue to push this crucial chapter of American history to the background, we endeavor to ensure it is not forgotten. If you wish to join us or have us come visit your school, club or group, please go to our contact page and send us an e-mail. Copyright © 2015-2019 - 506th Parachute Infantry Regiment Re-enactors, Inc.